A UK-based, sus­tain­able, eco-friend­ly, fair­trade com­pa­ny that aspires to bring Mon­go­lian yak knitwear to the fore­front of the fash­ion indus­try. It aims to pre­serve the Mon­go­lian land­scape and sup­port the nomadic herders’ way of life, which is threat­ened by indus­tri­al­i­sa­tion, land degra­da­tion, and pol­lu­tion. The assign­ment was to cre­ate a iden­ti­ty that cap­tured the spir­it of Mon­go­lia with spe­cif­ic rel­e­vance to fash­ion and the Mon­go­lian yak. The set chal­lenges were to retain ref­er­ences to tra­di­tion­al Mon­go­lian cul­ture (with­out mak­ing it too eth­nic), while cap­tur­ing a mod­ern and min­i­mal­ist feel, and an edgy and lux­u­ri­ous iden­ti­ty. Final­ly, the design had to enable the company’s iden­ti­ty to be rel­e­vant if it expand­ed beyond knitwear into oth­er areas in the fash­ion and tex­tile indus­try. We want­ed to cre­ate a sim­ple, con­tem­po­rary-look­ing logo that con­veyed the bold­ness and strength of Mon­go­lian peo­ple and the yak. The process began with research­ing every­thing Mon­go­lian, from the inspi­ra­tional nation­al hero Genghis Khan, to Mon­go­lian war­riors, bold fab­ric pat­terns, herder fam­i­lies tend­ing yak in the harsh land­scape, and local cli­mate. 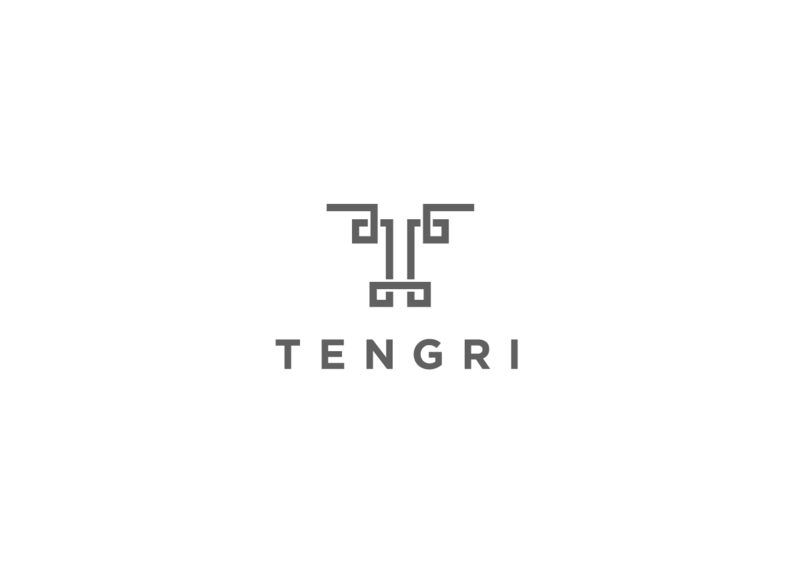 Then fol­lowed many sketched iter­a­tions of the logo incor­po­rat­ing the let­ter T (from the name Ten­gri) and allud­ing to the shape of a yak’s head. The line is inspired by the Mon­go­lian Ulzii pat­tern, a sym­bol of longevi­ty and hap­pi­ness. This final design ticks all the box­es, unit­ing mul­ti­ple ele­ments with bold clar­i­ty.